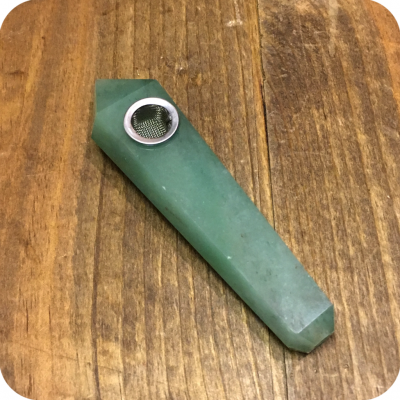 The Aventurine Crystal Pipe is the perfect piece for the crystal loving smoker looking to bring a little serenity, and harmony into their home. 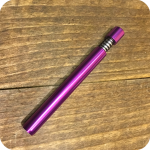 This pipe is only about four and a half inches long, but packs a mean punch! 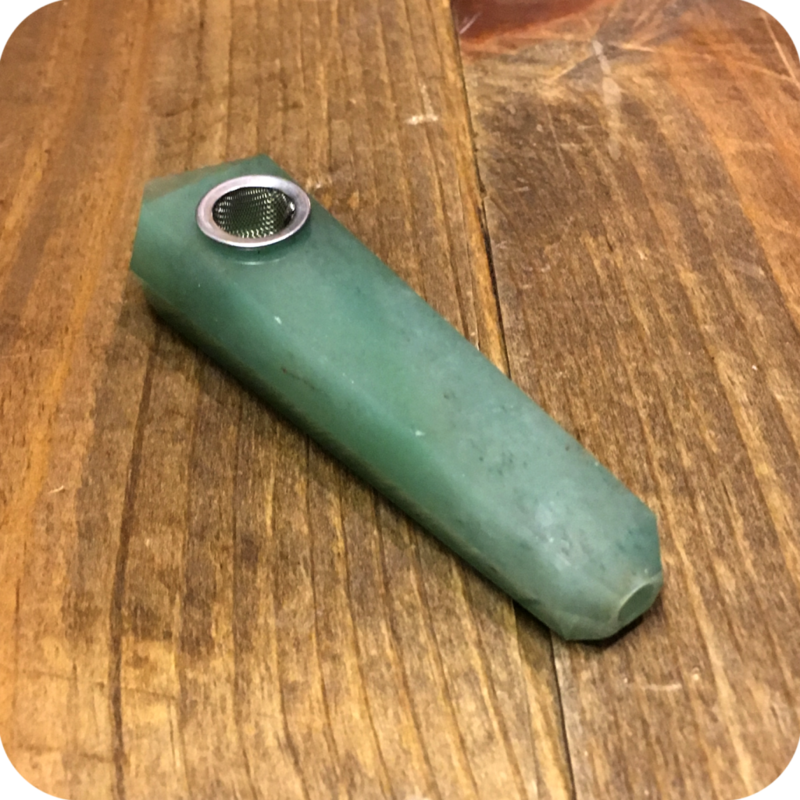 To use, simply pack the bowl with your favorite smoking tobacco or legal herbs. 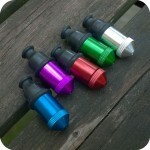 Then, light the bowl and inhale through the mouthpiece. It is as easy as that! No carburetor required! Keep this pipe regularly cleaned by thoroughly running a pipe cleaner through either end. With enough care and maintenance this piece could last you a lifetime! Finally, do not forget to swing by one of our three Brooklyn store locations. We are located at 12 Wilson Ave in Bushwick, 518 Grand Street in Williamsburg, and 377 Metropolitan also in Williamsburg. 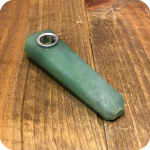 Tags: Brooklyn, brooklyn glass, brooklyn smoke shop, crystal, Crystal Lovers, crystal pipe, Jade Crystal Pipe, Jade Pipe, new york city, nyc smoke shop.